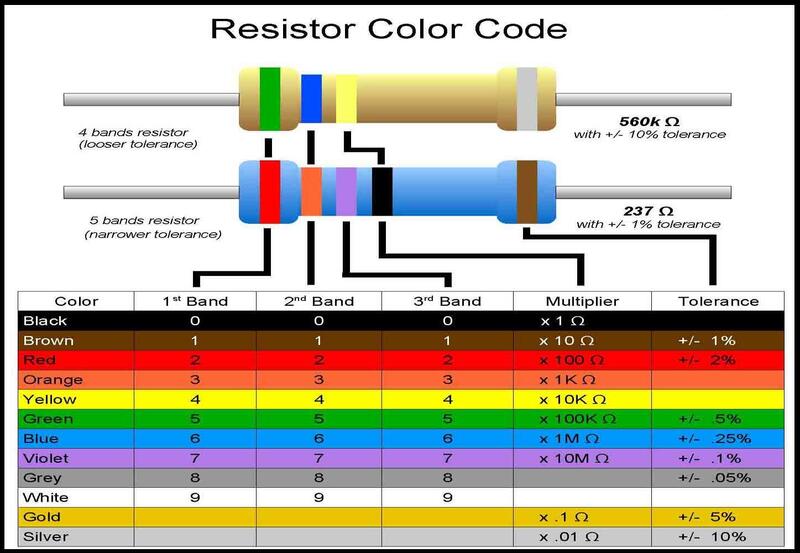 Resistors are in nearly every circuit. They help to regulate the flow of electricity to our components and can protect sensitive components too. They do what their name suggests: they resist the flow of electricity. 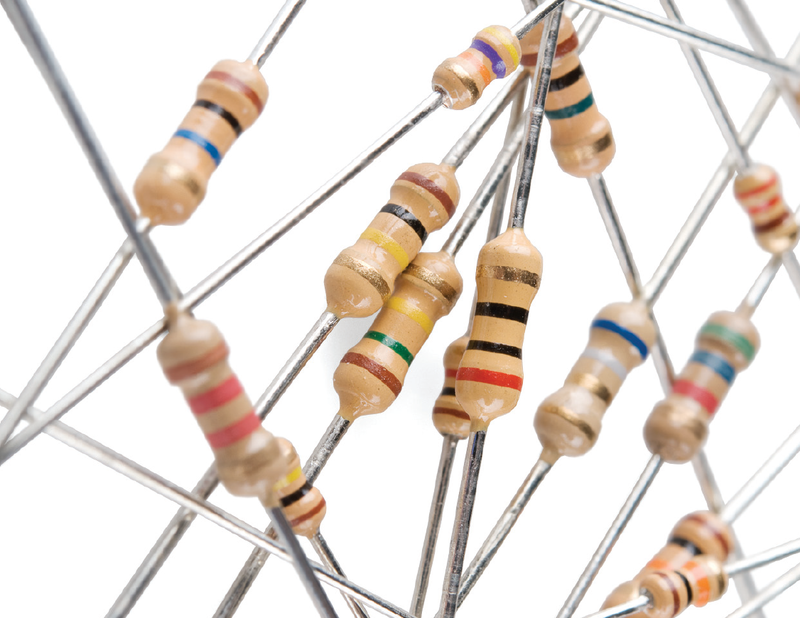 Each resistor does this to a specific amount, known as their resistance. This is measured in Ohms (denoted as Ω) and is based on Ohm’s law (see What is Electricity). The first two bands tells you the most important digits of the resistors value. The third band is a multiplier or a weight, which multiplies the previous two digits by a power of ten. 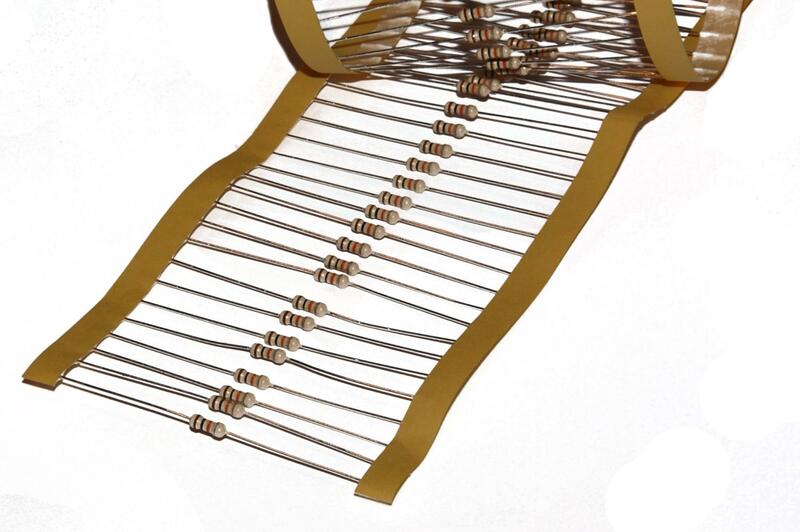 The final band is the tolerance of the resistor or the degree of accuracy in its resistance. A 1% tolerance means it could be -1% or +1% of the amount specified. Every resistor has two terminals (or wires). It doesn’t matter which direction, order, orientation, etc you put these wires in, it will work either way!